Check here for all the additional powers. to play Monopoly like you never did before. 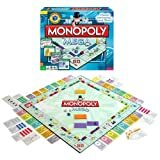 Check here the rules to speed up Monopoly. When a player lands on an unowned property, he must always buy it. The goal of the game is to get bankrupt before any other player. The properties are companies) and you can buy "shares" in those companies when you land on the space. There are maximum 3 shares per location. The stockholders can build offices (houses) or tower blocks (hotels) and receive dividends when other players land on those locations. There are no mortgages since you sell shares when strapped for cash. Bid for the right to go first. If players do not wish to bid, order is resolved by dice rolls. Players are not allowed to buy property during his or her first trip around the board. auction it and if anyone else wins the auction, YOU get their money. Also, players start with half the stated amount of cash ($750). 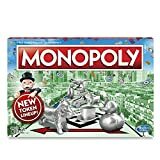 When you land on the third unowned property in a monopoly, you may not purchase it outright if you own the other two properties. Instead, it must be sold at public auction (in which you can participate. Use quick auctions as a way to get all the properties in play in a reasonable time. Whenever a doubles is thrown, the next unowned property clockwise from GO should be auctioned off by the banker, after the player throwing doubles completes his or her move. 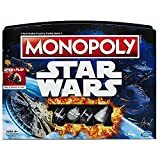 Begin the game with only $200 (as if you just passed Go). To quote Tim, "It would certainly add something to the decision about whether to buy a property or not. And those $10 rents for St. Charles would suddenly become a big deal, for both players." When someone lands on Community Chest, *everyone* is taxed $25 per house/$100 per hotel for each property they own on that particular row. The player get 3 dice to roll and he or she can pick 2 dice to determine the movement. Give each player a set of six cards, 1-6. On their turn, they pick one of the cards from their hand and add the roll of one die to it. This gives you a little more power in how far you advance. If you're trying to move slowly, play the (1) and you'll move from 2-7 spaces. Vice versa, a play of (6) gives you at least 6 spaces, and possibly 12. A player must go through all of their die cards before taking them back into his hand. Every time a player passes or lands on Go, in addition to collecting his salary he picks a Strategy Card. He keeps this card face down until he chooses to use it. Strategy Cards may be traded or sold between players. A player may use a Strategy Card after he rolls the dice. He plays the card, adjusts the roll by the amount indicated on the card, and then places the card on the bottom of the Strategy Deck. For example, if a player rolls a "7" and then plays a "-2" Strategy Card, he moves his token 5 spaces. A player may never play more than one Strategy Card per turn. A modified roll can be as high as 14 (a +2 applied to a natural roll of 12) or as low as 0 (a -2 applied to a natural roll of 2). In the latter case, the player's token stays where it is and his turn proceeds just as if he had landed on that space. In addition, players only get credit for rolling doubles (which gives them an extra turn) if the natural roll is doubles and if no card is played. You don't collect any money for landing on Free Parking. All payments required by chance or community chest go to the bank and not the center of the board. Bankrupt players become ghosts that haunt for money. When a host lands on a location, the owner must pay the ghost money. When a player pays 3 times the face value of a property, then the hostile buyer and the current owner may roll a dice. Whoever score the highest wins and becomes the owner of the property.